Published: Aug. 20, 2012 at 06:55 p.m. Updated: Aug. 20, 2012 at 08:12 p.m. 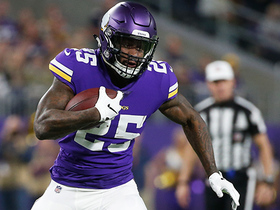 Despite a week of practice, the Minnesota Vikings plan to hold out running back Adrian Peterson for Friday night's preseason game against the San Diego Chargers, a team source said. 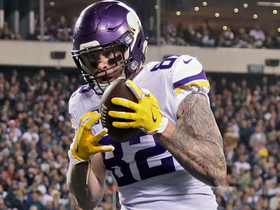 Peterson wanted to experience some contact after sitting out much of training camp, but the team is intent on not rushing him back less than eight months after he underwent surgery for a torn anterior cruciate ligament. Peterson came off the physically unable to perform list Aug. 12. 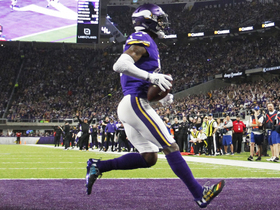 On Sunday, Vikings coach Leslie Frazier left open the possibility of playing Peterson against the Chargers, saying it would depend on how the running back feels. But realistically, the plan all along was to hold out Peterson. "I know there are a lot of fans who are very optimistic and excited about seeing him back," Frazier recently told reporters. "But for us, it's just part of the process."